Lemire returns to small-town Canada for a new graphic novel from Simon & Schuster. 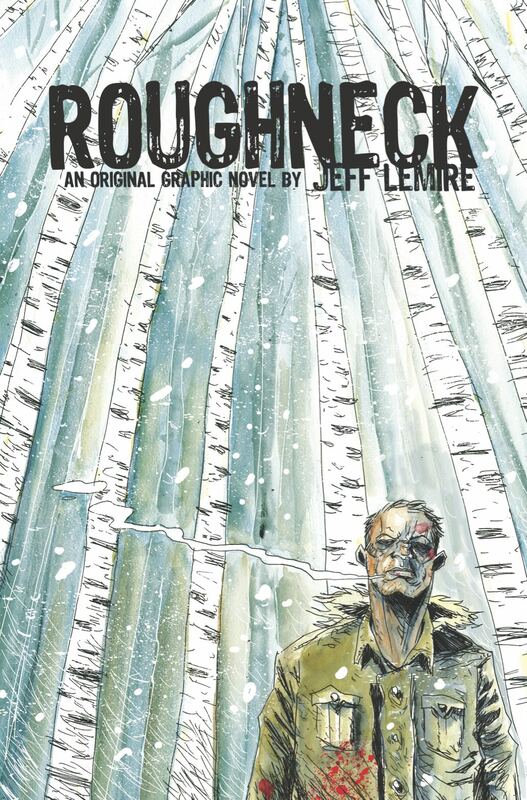 The prolific Jeff Lemire, who has left his stamp on monthly comics from DC, Marvel, Image and Valiant in recent years, returns to his graphic novel roots in October with Roughneck. Update: According to Lemire’s blog, Roughnecks will now arrive in April 2017. This is definitely something to add to the “Comics I’m looking forward to” list for 2016. Next Next post: 2016: Year of the (Black) Beetle?